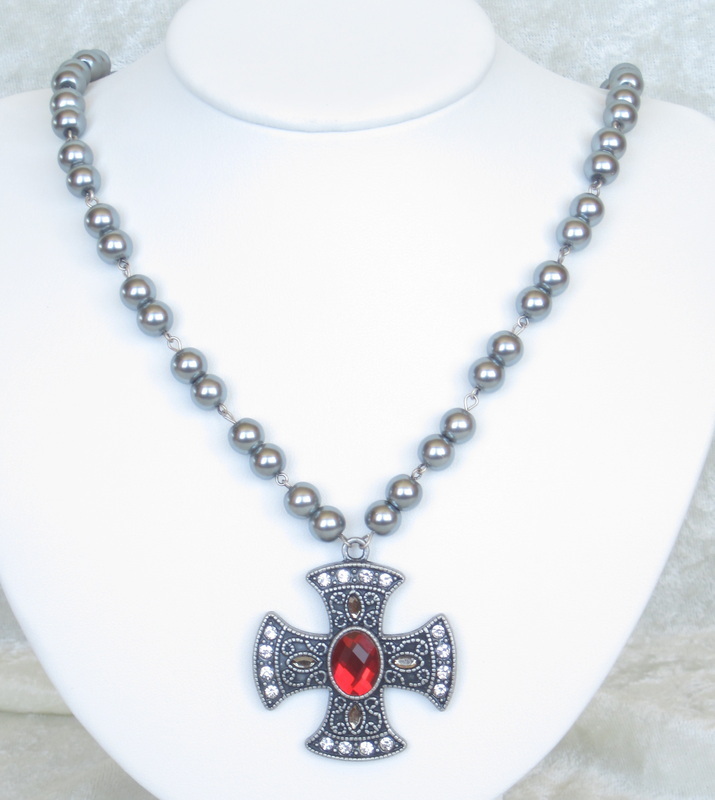 This is truly a statement set: an ornate medieval cross is suspended from a strand of pewter color glass pearls. 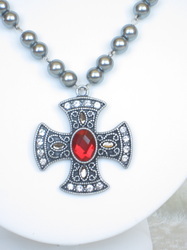 Embellished with a glittering ruby red glass gem and sparkling rhinestones, the pewter cross is the focal point of the piece. The pearls are hand-mounted in pairs, allowing them to show off their luster. 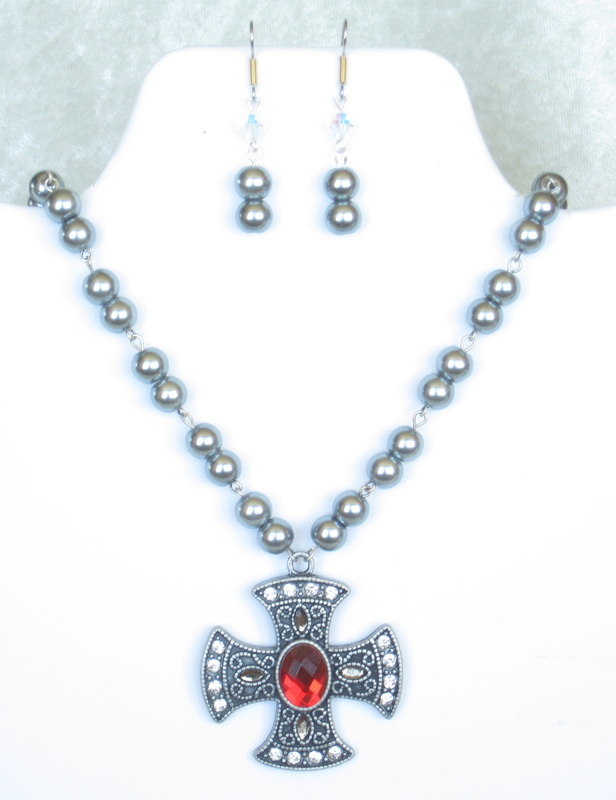 An original design, this set will bring raves at your next Ren Faire! 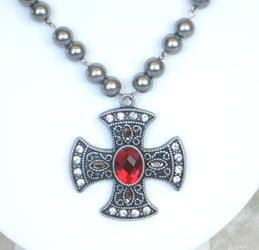 The necklace measures 19"; the cross pendant measures 1 3/4" wide and long. 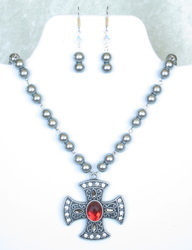 The earrings dangle gracefully 1" below surgical steel french ear wires.